Print ad designed to encourage good nutrition for children. A print ad designed to encourage good nutrition for children. 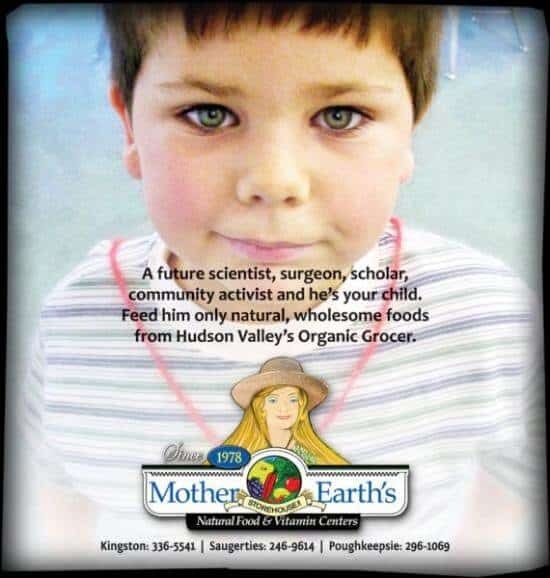 A Scientist, Surgeon, Scholar, Community Activist is the title for this recent newspaper ad design. He isn’t any of the above right now, though Emil (my son pictured in 2000 as he poses for his first day at school) is being used by his father [the graphic designer] as a model for another “Back-To-School” print ad design. As all loving parents do, we envision our child growing up to be a special person contributing to society. 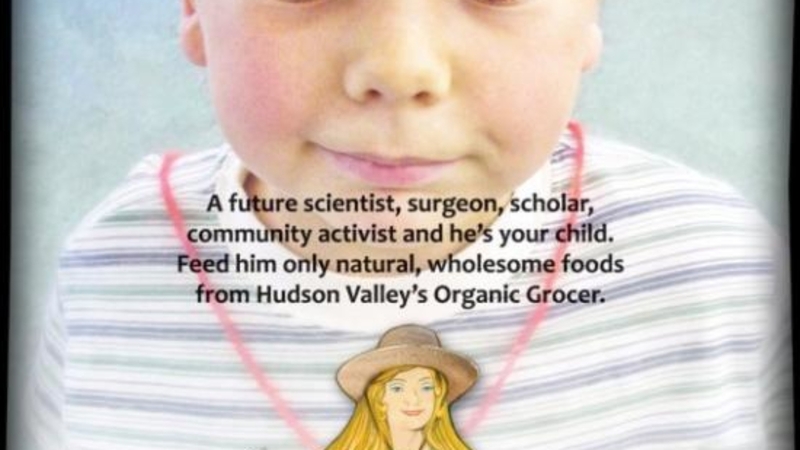 This same feeling is being used to sell organic food in this newspaper ad design that will be running in Ulster Publishing’s Almanac this week. I just hope Emil doesn’t decide to use me as his subject in any futuristic science projects.